WECAN International offers both a digital classroom series of webinars, and local on-the-ground regional climate solutions trainings. The trainings offer a holistic overview, which includes advocacy, hands-on training, systemic analysis and linking local efforts to the global movement for climate justice. 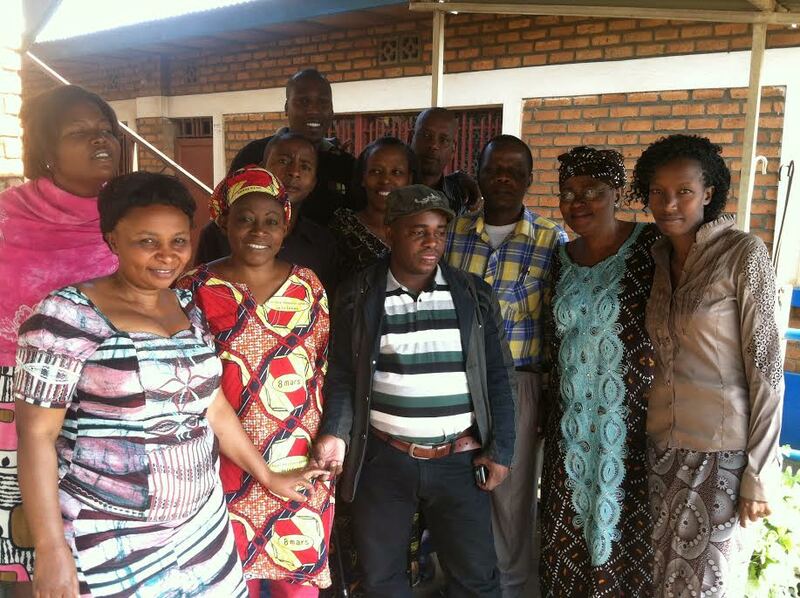 On January 27, 2015 in Bukavu, a city in eastern Democratic Republic of the Congo, WECAN in conjunction with their honored partners in the DRC, SAFECO, hosted an online training for three days that brought together participants to further the mission of creating a place-based climate action plan. 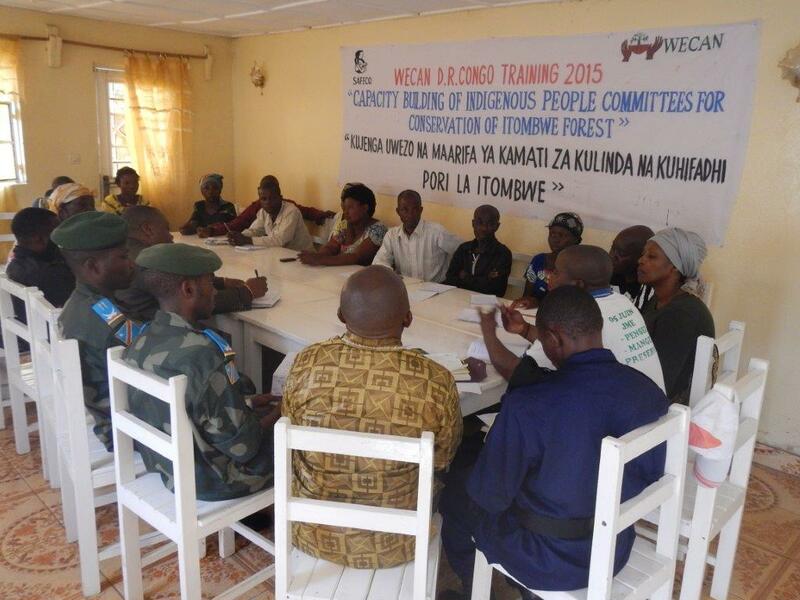 The goal of these training sessions was to further ongoing efforts toward protection of the Itombwe rainforest and supporting the Indigenous people who are the natural custodians of the region. There was a particular focus on women’s leadership and supporting them as transformative leaders in the region. This online training is part one of a two-part training, with the second part taking place in the Itombwe region. Neema Namadamu, Founder of SAFECO and WECAN Coordinator for the DRC and SAFECO/WECAN DRC Program Manager Nzabas Stany opened by giving a summary of WECAN focuses in the DRC. This work covers issues surrounding the local community in the Itombwe rainforest and the status of the inhabitants living in and around it and what political and educational action is to be taken to maintain this diverse ecosystem while understanding, respecting and promoting the knowledge of the Indigenous Peoples of the region. There was also a summary from a previous session on how women are negatively impacted by climate change and environmental degradation but yet are the same ones who can provide sustainable solutions. If the women in the DR Congo mobilized and unified in one effort they would have the most impact in forest conservation efforts rather than working as separate actors. WECAN’s approach to solutions and systematic change was discussed, with a focus on the Rights of Nature and the need to fundamentally change our environmental laws so that Nature is no longer forced into the market place and is respected as a rights bearing entity. This portion of the training also served as a time to discuss ways to make these issues visible in the media to spread the message far and wide and gain power in numbers. Osprey Orielle Lake, Executive Director of WECAN outlined the main activities that needed to be discussed in detail to prepare for on the ground work in Itombwe, these included 1) tree planting /reforestation taking into account the kind of trees people in the community are requesting for medicines and other needs, which will prevent some of the deforestation of the old growth forest 2) making efficient cook stoves with local materials so women are not reliant on vast amounts of wood for cooking fires 3) starting a small scale solar device business for women to have a sustainable businesses and so solar lights are used at night to prevent wood fires at night for light 4) various forms of forest protection education including Traditional Ecologic Knowledge that Pygmy women could share as part of the program. She also talked about the need for advocacy for good policies that would protect forests as well as the rights of Indigenous Peoples at the higher decision making level. And finally, a mutual sharing between communities of knowledge. In order to best strategize for an advocacy plan, a government expert was brought into the training for the participants to learn about current environmental laws. The online training was part of the environmental education for trainers in preparation for part two of the training to take place in the Itombwe region which will include tree plating, cook stoves training and advocacy education. 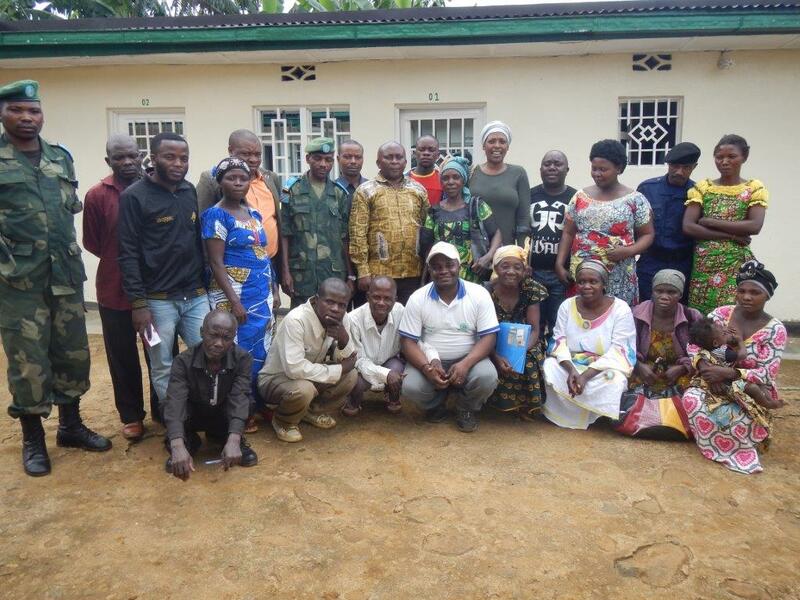 After this phase of groundwork, WECAN will prepare an advocacy plan and organize a workshop in Bukavu in order to bring local peoples’ recommendations to provincial authorities concerning the Itombwe rainforest. There people will gather to advocate against illegal logging, which is one of the main causes of deforestation in the region, and policies around it and advocate for the rights of Indigenous Peoples regarding the management of Itombwe rainforest. 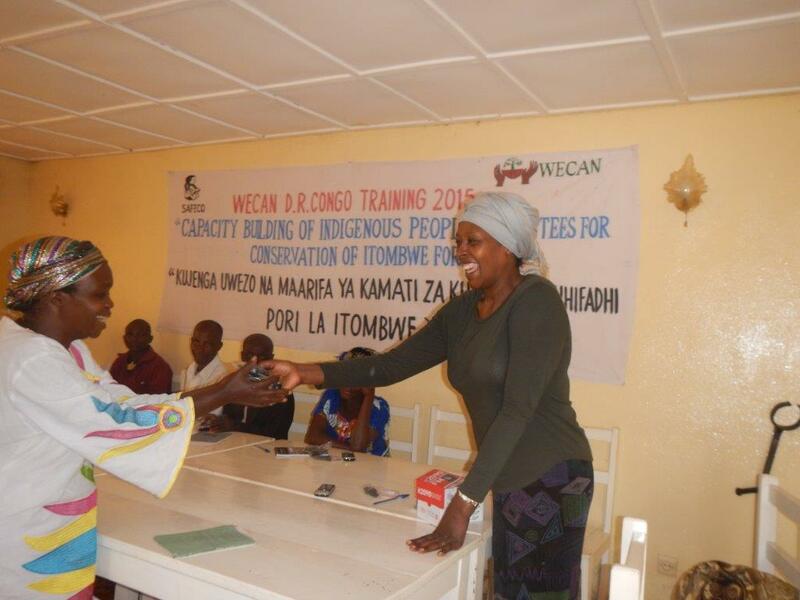 Women will be always at the center of the activities of the WECAN/SAFECO partnership and therefore beneficiaries of this work related to the protection of Itombwe rainforest.